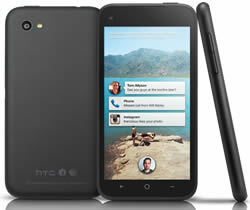 Key difference: HTC First is the first phone that will be released running on the Facebook Home user interface. The phone will be powered by a Qualcomm MSM8930 Snapdragon 400 1.4 GHz Dual-core Krait and a 1 GB of RAM. The Nexus 4 is Google's fourth Nexus-branded Android smartphone. It was produced in collaboration with LG Electronics. The phone runs on the Android 4.2 (Jelly Bean) operating system, which was launched with the phone. The phone features a 1.5 GHz quad-core Snapdragon S4 Pro processor and 2 GB of RAM. In today’s world, social networking is more important that air of water. Some people might be able to get through without food, but not without checking their Facebook accounts at least a few times during the day. Facebook realizing the important part it plays in people’s social lives and recognizing the need for Facebook integration on mobile phones, has collaborated with HTC for new Facebook phone: the HTC First. 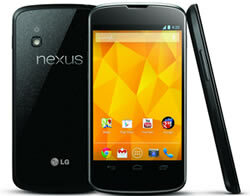 Google has launched its own line of smartphones based on Android, called the Google Nexus. Each device in the Nexus line is produced via collaboration between Google and a leading original equipment manufacturer (OEM) partner. The information for the detailed table about the two phones has been taken from the HTC website, the Google Nexus website, theverge.com and GSMArena.com.